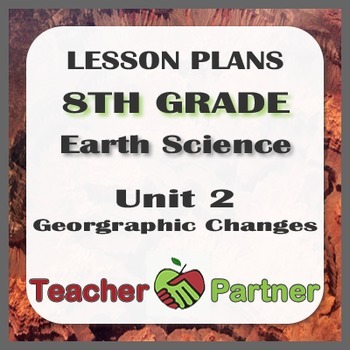 28 Lesson plans in Earth Science on Unit 2, covering Geologic Changes. Lesson 3. How do rocks on the seafloor vary with age away from a mid-ocean ridge? Lesson 14. Can you locate an earthquake epicenter? Lesson 19. Can you correlate rock formation? Lesson 23. How has life changed over time? Lesson 25. When did coal form?